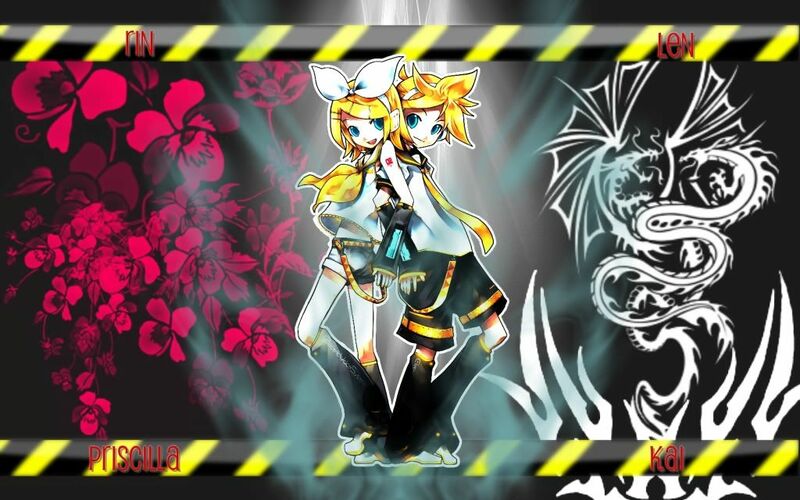 A background made featuring Len and Rin Kagamine, two twin vocaloids. I made this for me and my sister since she also uses my laptop. Len is the boy and Rin is the girl.